Enjoy the ultimate relaxation holiday with our Konkan Beach Resorts tour, alongside the blue coastlines beaches of Konkan. Enjoy a luxurious stay at sea facing Konkan Beach Resorts and soak in the sandy beaches and palpitating coastlines. Luxuriate in some of the best Konkan Beach Resorts, we have handpicked for you that would elevate your holiday with their true hospitality and comfort. Konkan Beach Resorts are an oasis of comfort and tranquillity. The beach resorts in Konkan are fully equipped with luxurious facilities alongside the sparkling sea and golden sands. Your Konkan Beach Resorts tour will commence from Mahad where you will visit the exquisite Shivthar Ghal Waterfalls. Your itinerary will also include a trip to Raigad Fort, Kashid beach, Alibaug, Nagaon and Murud. Take a trip to the magnificent beaches of Shivardhan, Harihareshwar, Anjarle, Ganpatipule and Ratnagiri. Our Konkan Beach Resorts tour gives you a wonderful opportunity to soak in the sunlight while surrounded by the sandy sea shores and serenading dancing waves of the sea. After arriving early morning at Mumbai Airport/Railway Station, make your way for Mahad. Enjoy some leisure time and later visit Shivthar Ghal Waterfalls. Shivthar Ghal is renowned as Sundarmath which means "Beautiful Monastery".It is prominent for its spiritual ambience. It is located just 34 km. from Mahad. The famous Samarth Ramdas Swami resided in a huge cavern (ghal) here in 1649 where he wrote the famous "Dasbodha". This lovely waterfall is a quiet abode amidst the lush greenery, wildlife and mountains. It is a utopia for trekkers who are charmed by its amplified natural beauty and silence. The allurement of Shivthar Ghal waterfall is at its peak during monsoons. Later, make your way to Konkan Beach Resort in Mahad for your overnight stay. On the 2nd day of your Konkan Beach Resort tour revel in the famous Raigad Fort and later travel to Kashid to visit its famous beach. Raigad is a hill fort, which used to be the capital of Chhatrapati Shivaji. 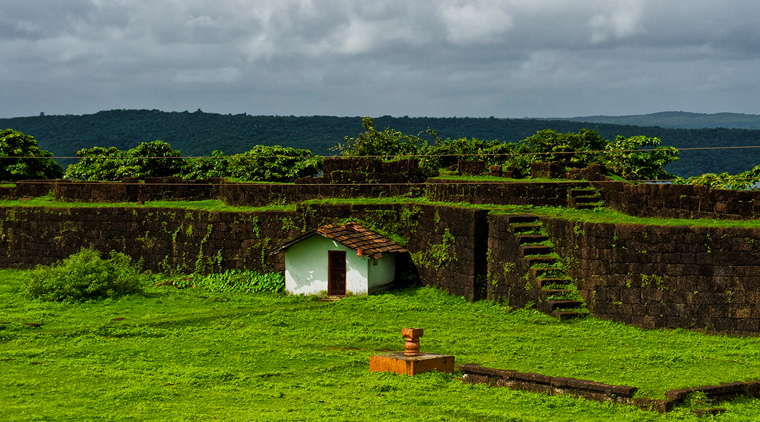 Due to its fortified structure, the Britishers nicknamed Raigad as "Gibraltar of the East". 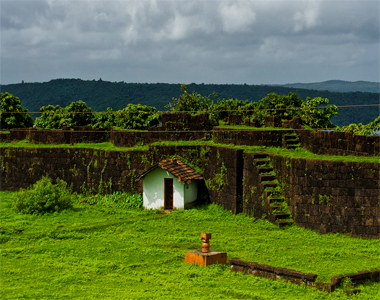 The Fort illustrates its glorious past and pride of the Marathas. It could only be accessed through a pathway as the three sides of the fort are surrounded by valleys. Although most of the fort is in ruins, the visitors can still find the remnants of its illustrious past. Relish in one of the alluring beaches of Maharashtra known as the Kashid beach. The beach is adorned with white colour sand, clear blue waters and lovely streams. The atmosphere of the beach promises you with a relaxed and perfect beach holiday. It is also a perfect destination for all the water enthusiasts. The beauty of the beach is augmented with its groves of shrubs and trees which are also called Casuarina. Later, enjoy your overnight stay at Konkan Beach Resort in Kashid. After enjoying a hearty breakfast at your Konkan Beach Resort, explore Alibaug and Nagaon, the famous coastal towns of Maharashtra. The literal meaning of Alibaug is "Garden of Ali". According to the legends, Ali planted a lot of mango and coconut trees in this area. You can unravel yourself and enjoy the wonderful Alibaug beach. You can also indulge in the local fish delicacies. It is a black sand beach where you would also get the panoramic view of Kolaba Fort. The fort is in ruins and could only be visited during low tides. 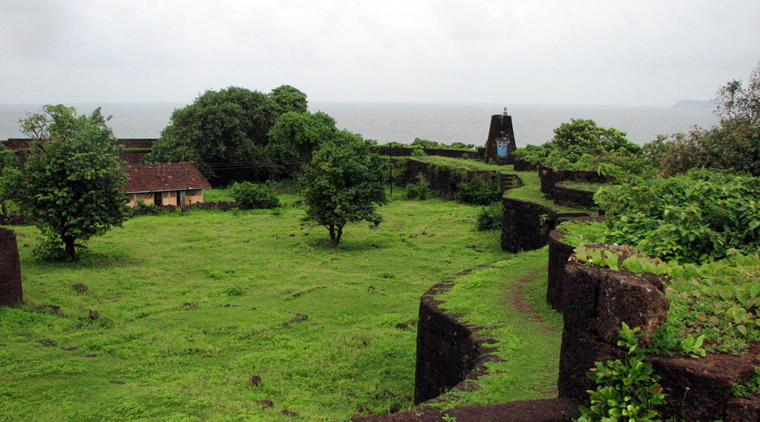 Another famous fort near Alibaug beach is Khanderi fort which is almost 3 centuries old. Other notable places to visit in Alibaug are Kaneshwar and Someshwar temples. Nagaon beach is 9 km. from Alibaug and it expansesover 3 km. meeting the waves the Arabian Sea. Nagaon beach is known for its tranquillity. It is a yellow-sand beach which is lined with betel, palm and suru trees. It is one of the favoured tourist destinations, as it is known for its peaceful natural beauty and cleanliness. You can also enjoy their finger-licking seafood cuisine in the beach shacks. Head back to Kashid beach resort for your overnight stay. On the 4th day of your Konkan Beach Resort tour,explore the coastal village of Murud and their majestic forts and beaches. Residing in the Raigad district, Murud is renowned for its sandy beaches that are adorned with palm trees, coconut trees and majestic forts, creating a perfect holiday scenery. The sparkling golden beach of Murud beckons the visitors for a relaxed and modest vacation. The pristine landscape of Murud is infused with adventure and spirituality. 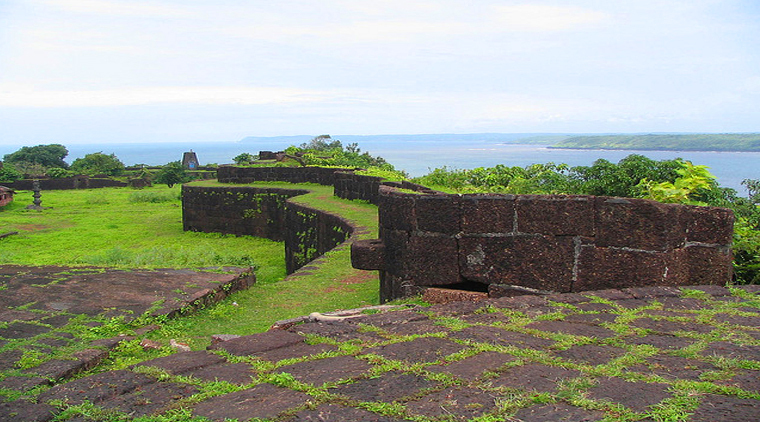 Other prominent places to visit in Murud are Murud Janjira Fort, Gol Gumbaz, Kasa Fort, etc. Later, head back to your Konkan Beach Resort in Kashid for your overnight stay. On the 5th day of your Konkan Beach Resort tour,make your way for Shrivardhan and visit the nearby places Harihareshwar and Anjarle. Shrivardhan is also famous as the "Town of the Peshwas" as the 1st Peshwa, Balaji Vishwanath hailed from here. The white sandy beaches in Shrivardhan are clean, unspoilt and less crowded. It is not only a beach town, but also a historical and religious venue. The remnants of Maratha Empirecan be seen in the town along with the famous Shri Laxminarayan temple. Another bonus venue you could visit nearby Shrivardhan is Harihareshwar. It is located 18 km. from Shrivardhan and is exalted for its beautiful beaches. Ancient temples like Lord Shiva Temple and Kalbhairav Temple are accolade on the beaches of Harihareshwar. Later, visit Anjarle beach which is also one of the finest beaches in the Konkan region. It is an ideal destination spot that would refresh your senses with its white sands and palm trees. This unspoilt beach is also popular for hosting the famous Kadyavarcha Ganpati temple. The temple is adorned beautifully on the cliff alongside a small port which is located near the crevice of the Jog River. Enjoy your overnight stay at one of the best beach resorts in Dapoli. 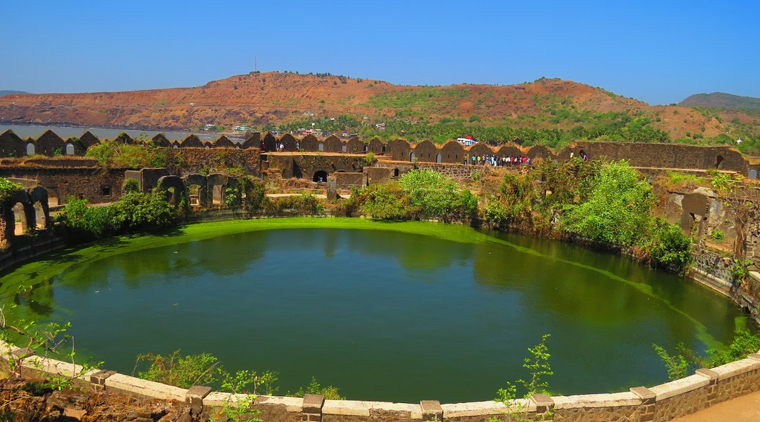 Visit Jaigad Fort while en-route to Ganpatipule Beach on your 6th day of Konkan Beach Resorts tour. While travelling towards Ganpatipule, make a quick stop at Jaigad Fort that is situated on a cliff, overseeing the Arabian Sea. The fort is encompassed over 13 acres of land that also inhabits a water well, the palace of Kanhoji Angre and a Lord Ganesh Temple. It played a significant part in the Marathas history while also serving as one of the chief ports in Western Coast of India. Next, make your way to Ganpatipule beach which is notably one of the unexplored paradises of Maharashtra. The Ganpatipule beach is a perfect idyllic vacationing spot with its rocky cliffs, secluded beaches and shores. The beach mostly attracts peace seekers as the beach is untouched by commercialism. You can also indulge in the water sports activities on the beach. Enjoy the overnight stay at the Konkan Beach Resort in Ganpatipule. After enjoying some scrumptious breakfast at Konkan Beach Resort explore the beaches of Ratnagiri and enjoy the city tour of Ganpatipule. Ganpatipule is a small beach town on the Konkan coastline which is also famous for its 400-year old Lord Ganesha temple. There is also a self-created monolith of Lord Ganesha whose alleged existence came around 1600 years ago. Alongside the Ganpati-shaped hill, you could also indulge in the scenic confluence point of the Ganpatipule beach and river. Ganpatipule is a perfect location for all, as it accommodates friends, family, beach lovers, photo enthusiasts, adventure seekers, history buffs and pilgrims a like. Later, visit Ratnagiri which is the perfect getaway for the visitors who want to rejuvenate themselves with the blessed hills, creeks, sea shores, rivers, hot water springs palm groves, cascading waterfalls, majestic monuments and dense forests. Ratnagiri is also famous for its cuisine which includes rice fish curry, Konkam curry, Kombdi Vade, Ambapoli, etc. It is also famous for its Alphonso mangoes, amboli, cashews, etc. This port city on Arabian Sea coast is considered a gem in Konkan region. Later make your way towards Ganpatipule beach resort for your overnight stay. This concludes your Konkan Beach Resort Tour. Travel back to Mumbai/Pune airport for your flight back home. Hope you enjoyed our tour to the beach resorts in Konkan and we look forward to serving you again in the future. November to February is the best time to visit the beaches of Konkan region i.e. Kashid beach, Alibaug, Nagaon, Murud beach, Ganpatipule beach, etc. It offers less humid temperatures in these months. During your Konkan Beach Resorts tour, enjoy Ratnagiri’s famous fish curry, kokam curry, kombdi vade (rice and chicken dumplings), mavani mutton curry, etc. While your stay at Konkan Beach Resort you will find that besides seafood, beaches in Nagaon offer authentic Kolhapuri cuisine. Enjoy popati cuisine at Murud beach. One of the best beach resorts in Alibaug, Radisson Blu Resort and Spa offers a famous multi-cuisine restaurant, Aparanta. Enjoy the great ambience coupled with tasty food in Drive Inn Carnival Restaurant in Ratnagiri. Enjoy Lebanese cuisine and seafood at Bohemian Blue Garden Café, Alibaug. During your Konkan Beach Resort tour, you should definitely try Ratnagiri’s Alphonso mangoes which are considered a delicacy. Other places such as Raigad, Ratnagiri, etc. also offers exotic fruits such as Amboli, Cashews, Sandan, etc. Enjoy trekking in Alibaug during your Konan Beach Resorts tour. One of the famous trekking routes is Sagargad trek. While enjoying your stay at Konkan Beach Resort, prepare to be exalted by the protected ecosystem of endemic wildlife.You will find Oliver Ridley Turtles in their natural habitat in Ratnagiri district. While enjoying your Konkan Beach Resorts tour in Shrivardhan, Harihareshwar and Anjarle, rejuvenate yourself with their breath-taking view of sunrise and sunset. You can also take long walks alongside these unspoilt beaches. Revel in the fine dining and variety of traditional and multi-cuisine restaurants in Alibaug. Hotels at Konkan beach especially in Murud, offer cooking lessons for the interesting popati foods. Enjoy the adventurous trekking routes nearby Konkan Beach Resorts Dipoli. A lot of the beaches in Konkan offer varied water sports. You could indulge in activities such as kayaking, swimming, etc.